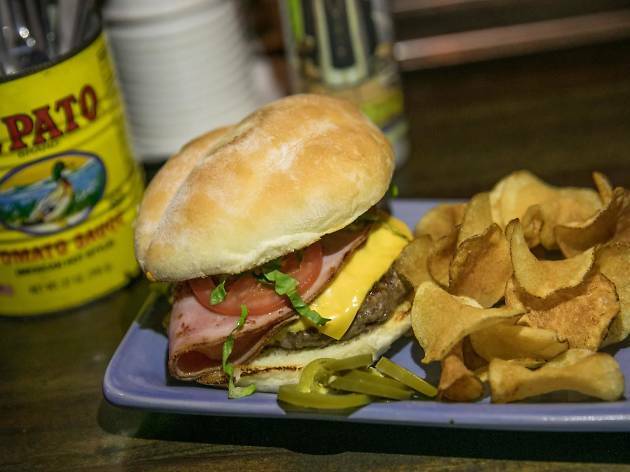 At Mosto, you don't have to decide between a torta or a hamburguesa—the tortaguesa is culinary mash-up of your dreams. 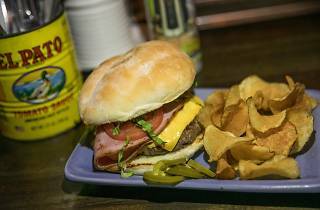 Juicy hamburger patties are decadently layered with griddled ham, American cheese, lettuce, tomato, pickled jalapenos and chipotle mayo to form the modern Mexican meal. Make a night of it with the bar's standout agave spirits-based cocktails.